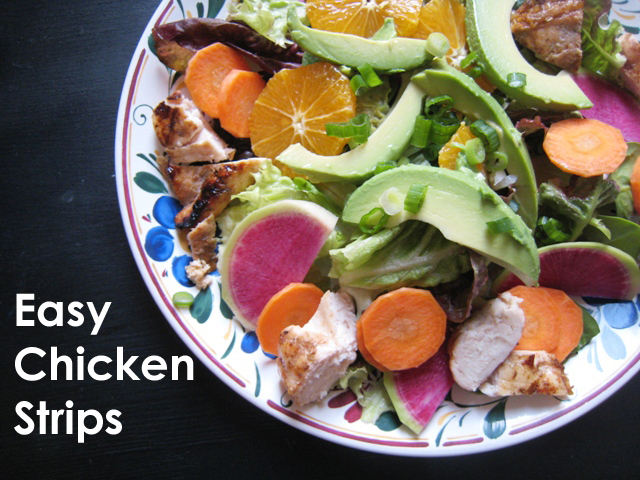 Make a big batch of chicken strips and freeze them for later use in salads and sandwiches. On my last trip to visit my sister, she met us at the airport with these wonderful dinner salads, cookies, and homemade dressings. It was a feast! Particularly so since my friend Heidi and I had been cooped up in a plane on the tarmac for hours and hours waiting for the plane to take off. As we munched on the drive to Williamsburg, Janel shared her secret. She had not, after all, cooked all day, she had pulled out some frozen cooked chicken strips and thawed them before adding them to the salads. Easy peasy. Preparing the same kind of chicken is easier and cheaper to do yourself. But, you knew that already, didn’t you? 1. Bake or grill your chicken. 2. 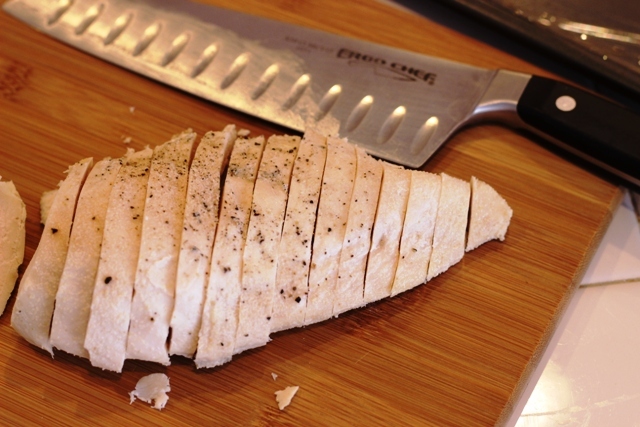 Once the chicken is cooled, slice it thinly. 3. 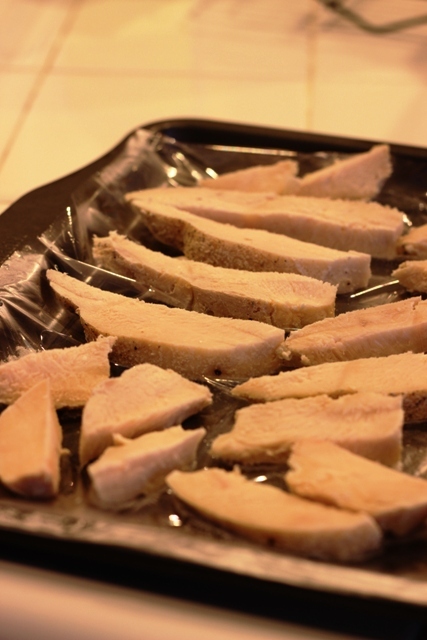 Place the chicken strips on a plastic-lined sheet that fits your freezer. Freeze until firm. 4. Once frozen, package the strips in a plastic, ziptop bag and store in the freezer. You can make these chicken strips “on purpose” or simply use up leftover chicken in this way. Freeze them to use later in soups, salads, and sandwiches. 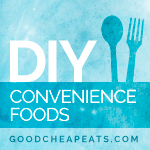 This is part of the DIY Convenience Foods series. Don’t want to miss a post in this series? 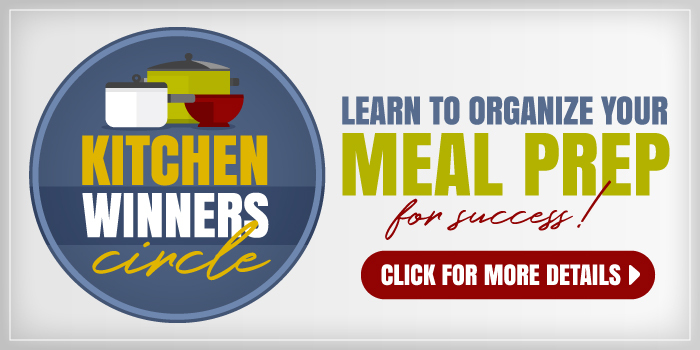 Subscribe to 31 Days of DIY Convenience food here. Get updates via email here. This is one of those things that is so simple and easy you cant believe you didn’t think to do it yourself. We eat a lot, a bunch, no a ton of chicken in our house and I’m always trying to think of creative ways to use the leftovers. This is PERFECT for when my creative juices aren’t flowing. Its also perfect for when I’m working nights and the hubby needs a quick meal for one. A true genius thought. I love those aha moments. Thanks for the great feedback! 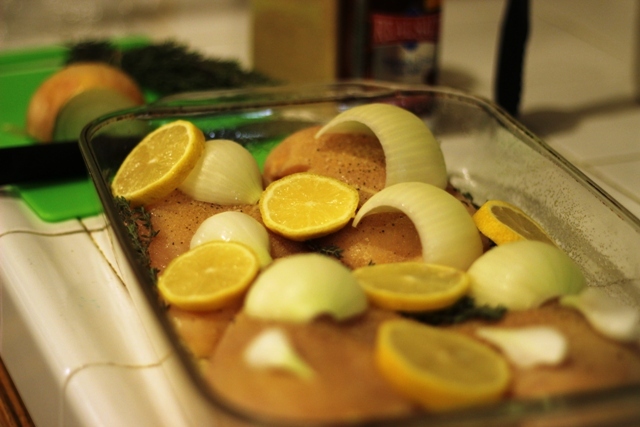 I like the looks of the boneless breasts you prepared for the oven. Could you provide a general recipe? thanks! Yes, what’s your general recipe? It looks delicious! It’s kinda boring, mainly because I want the chicken seasoned but not necessarily “flavored”. 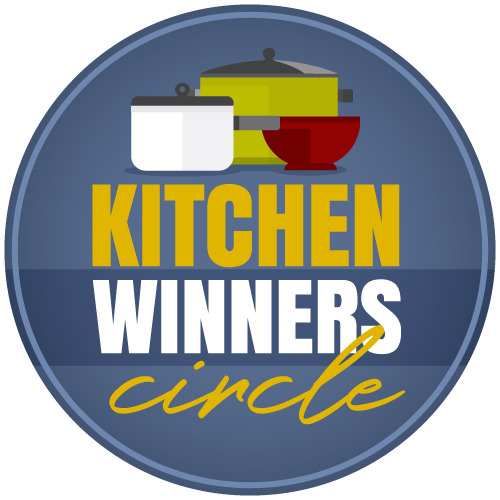 That way I can use it in recipes without worrying about competing flavors. Seriously, so simple, and brilliant. No preservatives, no fillers, genius. I do this with my bananas, why not my chicken strips. Insert hand to forehead. Why didn’t I think of it. 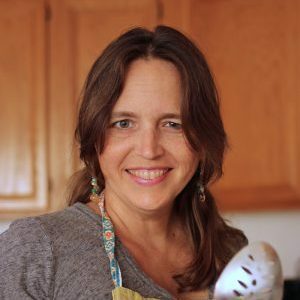 I’m always looking for ways to make simple healthy meals for my family of 4. What are those gorgeous little purple crescent moons on that salad? Are they figs? Thanks! Those are slices of watermelon radish. Just curious, what is the importance of this step: “Place the chicken strips on a plastic-lined sheet that fits your freezer. Freeze until firm” is there a reason not to just throw them in a bag to freeze? Thanks for the help! In this way, you don’t have to use all the chicken strips at once, but can pull out what you need as you need it. If you know you’re going to use the whole batch, feel free to just throw them in the bag and freeze. How long can I keep this in the freezer? I’d recommend using it up in 4 to 6 weeks for best texture.